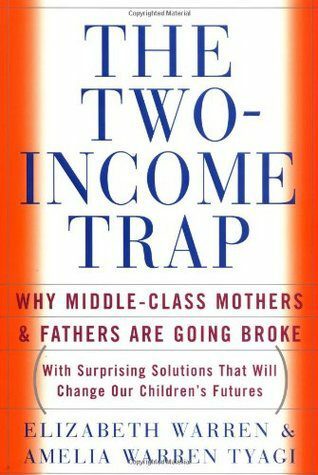 In The Two Income Trap, Ms Warren and Ms Warren Tyagi wisely advise families to prepare for emergencies ahead of time. I am thinking of copying the chapter “The Financial Fire Drill” and giving it to my clients before they start house hunting. Can your family survive for six months without one of the incomes you rely on? Can you downshift the fixed expenses? What is your emergency back-up plan? Rent or mortgage is usually the family’s biggest fixed cost. Would-be home buyers need to think about their fixed costs and how to prepare to pay them. Therefore holding the mortgage payment to something you can handle is key. If a couple earns $100,000 gross adjusted income, their mortgage payment is capped at $30,000 a year, or $2,500 a month. That’s the whole payment: principal, interest, tax and insurance. Most of the time, my would-be clients are clueless about the weight of property taxes. They can borrow $350,000 for less than $2000 in principal and interest. Fine. Property insurance is likely to be under $200 a month. Great. But taxes in that price range can get as high as $600 a month. Especially in the suburbs where there is more land on the parcel. If that $100,000 gross adjusted income is split fairly evenly between two adults, the ability to pay the mortgage can be jeopardized by an extended maternity or (unpaid) sick leave, job loss of either party, or divorce. When mortgages were calculated on a single income — in those Father Knows Best days — couples could overcome a set-back by sending Mom to work. I think the mortgage rules should be scaled accordingly, with a lower ratio if two incomes are being counted (maybe 20-25 percent.) Even if the rules aren’t changed, I try to convince my clients to scale themselves back so they have fixed costs that they can handle. I feel like a lone wolf crying in the wilderness about this. 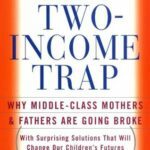 At least The Two Income Trap authors take it seriously.